Image courtesy of Jared Maire. Charismatic curator Hector Chavarria, a.k.a. The Big Gay Mexican, will host the final Patrick’s Cabaret performance. 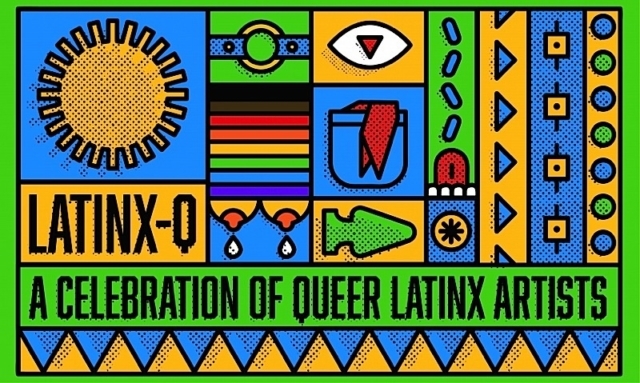 It features the intersection of queer and Latinx identities. Keila Anali will present her defiant short play What I Have Left To Eat. Flow artist Nezzie Garcia will perform flowing and sequential bodily movements. A poetry-centered view of race, gender, and language will be explored by spoken word artist Ellis Perez. Live painting, language, and music interplay in the work of Christian Ybarra + Mimi Solis. Beliza Torres Narvaez will present y…pervitida/hi…perverted, which is the next iteration of larger piece that has been developing. The program is presented at Open Eye Figure Theatre, which was actually the site of Patrick’s Cabaret from 1989 to 1999. Hi! Excited for the performance and grateful for this publicity but my name is spelled incorrectly. My name is Keila Anali. In this write-up, there is an extra i. Thank you so much!